AI has the potential to even out the playing field. An AI-based Braille tutor or an AI-powered prosthetic has the potential to revolutionize and transform the lives of so many differently-abled people. AI in health sciences, in identifying rare diseases, identifying at-risk population and making sure healthcare doesn’t fall through the cracks for vulnerable people, these are areas that excite me. 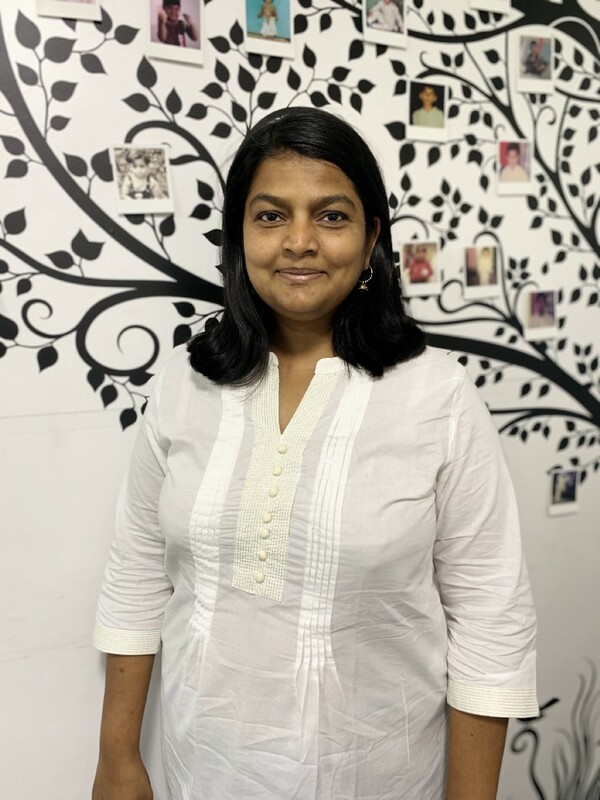 As part of my series about the women leading the Artificial Intelligence industry, I had the pleasure of interviewing Madalasa Venkataraman (Madhu), the Chief Data Scientist at TEG Analytics LLC, a decision-sciences consulting firm with operations in India and USA. She drives the culture of innovation at TEG, which is at the forefront in using predictive analytics, ML and AI to solve business problems in the sales and marketing, healthcare and energy verticals. Madhu also leads research activities at the Real Estate Research Center at the Indian Institute of Management Bangalore, one of the first research centers for Real Estate in India. 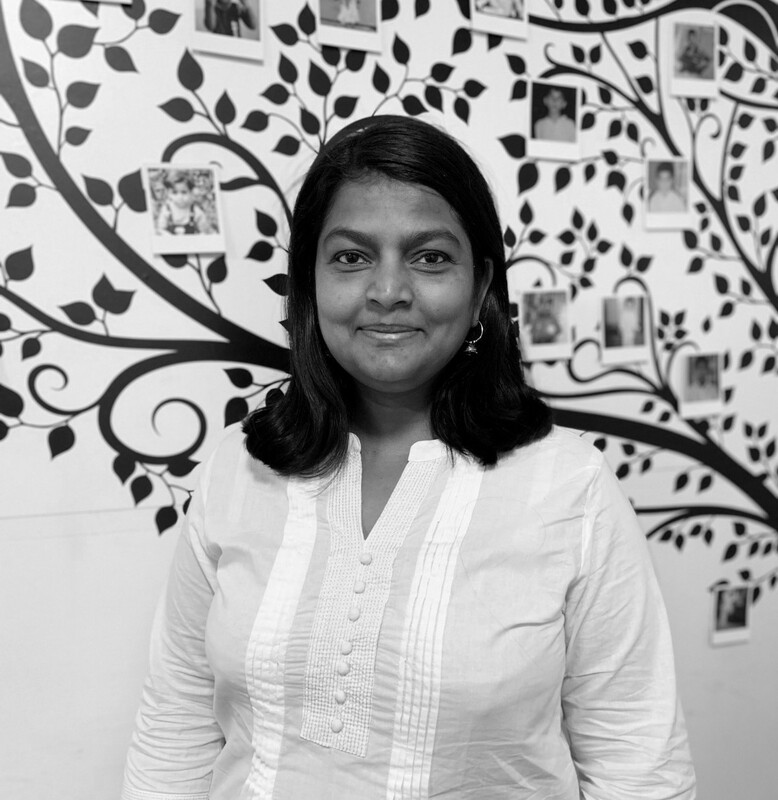 Madhu has 18+ years of experience across marketing, finance, insurance, and urban governance. She teaches finance and econometrics graduate level courses and is a published author, speaker and columnist. I have been fascinated by economics and finance and math. This led me to join a PhD program after three years of working as a software consultant. While doing my first course in econometrics is when the power of data hit me, this was the moment of truth for me as far as my career was concerned. I was fascinated by the ability to utilise data driven decision making for better policy decisions. Post my Doctorate, I led the research efforts at the Urban Governance research center within the Center for Public Policy, Indian Institute of Management, Bangalore; subsequently I led the research activities of the Real Estate Research Center, one of the first centers devoted to research in Real Estate in India. During this period, I was involved in assisting government and quasi government bodies with policy decisions on land pricing and collateralization. I was excited about helping organizations being relevant in the digital age and joined TEG Analytics to help improve their data science capabilities. At TEG Analytics, my team and I are of the belief that organizations need to harness their data in a holistic manner to reduce inefficiencies and serve customers profitably. The mobile-first strategy of people and cloud-first strategy of organizations combined with the advent of the AI/ML age is set to disrupt the way organizations are functioning — and we want to be at the forefront of that change providing AI/ML solutions that are transparent, unbiased and actionable. I now straddle the two worlds of academia and business consulting; working on policy level research motivates me to make a small difference to the world around me while consulting keeps me pragmatic in helping clients solve problems quickly. Each of our paths is inherently unique and possibly non-repeatable. My view on this is best explained by a quote from Bertrand Russel — “A good life is one inspired by love and guided by knowledge”, which I interpret as follow your passion and be motivated by larger problem you can help solve. As a part of my role in TEG, we are working on exciting projects that have the potential to transform the way people access and pay for their basic needs in energy and health. One project that stands out is the creation of TEG Analytics’ HealthWorks platform which helps firms design plan benefits that address the most pressing needs of the beneficiaries at reduced costs. We’re also working with payor organizations to reduce gaps in care and design flexible benefits so that beneficiaries get preventive care. My academic research projects are focused on influencing policy dialogue in emerging markets. One of the projects I am really excited about is in analyzing and help policy interventions on the underreporting of property transaction prices in emerging economies. Under-reporting property prices leads to black money generation and makes land-based credit more expensive for the common man. How governments in emerging markets can solve this is a question that I am engaged with currently. I’m lucky to have had a supportive family environment. If behind every successful man there is a woman, behind every successful woman, there is a village. My mother-in-law helped me transition a career break very successfully; I draw my strength from my family, siblings, spouse, kids. I’ve had many professional mentors too. One incident stood out for its timeliness and relevance. When all my classmates were graduating, I had a two-month old and was torn with guilt between staying at home or pursuing a career. My professor, a lady whose daughter had just joined college that year told me: “Don’t worry. I’ve been there. Your starting point may be different, but you will chart your own course. Enjoy this period for what it is, but don’t give up on your dreams”. That has stayed with me through every transition. What are the things that most excite you about the AI industry? Why? AI can help governments bring about massive social change when leveraged correctly. Governments and policy makers who are working on social welfare increasing activities, reducing poverty, insulating people from the impact of climate change, ensuring food-grain adequacy — these are areas where AI efforts need to be focused. AI is now like the wild west — the first mover grabs everything, and disregard for privacy is collateral damage. Secondly, Ethics and AI is a large open question. Norms that usually govern human-human interactions do not govern AI-human interactions. At the end of the day, the AI is just an algorithm that can be used for the purposes of the creator — an AI would potentially be much more effective at cyber-bullying, at stock manipulation and at creating fake news. An AI algorithm is only as good as the tagged data it is built on. An AI system doesn’t have the ability to understand the ‘data generating process’. Human behavior is motivated by bounded rationality and as a response to so many different incentives and disincentives. An AI system that learns from these decision outcomes without understanding the context and environment of the human decision-making, such an AI system strengthens existing biases, and continues propagating bounded rationality. Are we at a place where a super-intelligent general-intelligence AI can even be created? I think we are a good many years away from that as AI now is only good at specific tasks at hand. However, I am concerned about what we are doing on what I call the governance front. Advancement in AI must be in sync with empathy, inclusivity, appreciation of ethics, diversity, legality. If AI’s are built only to improve efficiency and profitability, without any governance oversight and this task is undertaken primarily by corporate entities who focus on solving problems in a limited scale, we would find ourselves reacting to the havoc caused by AI’s too late in the game. Any self-learning module, be it a child or an AI algorithm, needs guidance to keep the larger social-welfare in context in all its decision making. What we need, simplistically, is an ‘AI-school’ where each AI system is taught a basic module in ethics, empathy, appreciating diversity and inclusivity and in following the legal systems of the country where it is deployed. Self-regulation and co-operation is key. An AI system should not be able to retain or disclose confidential information, and AI firms should ensure this. I should trust my voice assistant to not record or analyse information it is privy to outside the confines of its task. Again, regulation should make it mandatory to identify when one is interacting with a bot rather than a human, or where AI involvement is present in decision making. This provides agency to users to identify and correct hidden biases in AI systems. Given the ease with which AI systems can be built and potentially deployed, these checks and balances need to bubble up either from social activism, self-regulation by businesses or through government intervention or a combination of all three. I’ve been involved in social work with underprivileged women for many years now. My fondest wish is to utilize my passion in teaching to take STEM education to underserved students in India. I can share three things here that have worked for me from my personal experience. These are not specific to women in AI or even to women in STEM, but are possibly applicable to all women in various fields of endeavors, especially in a women-minority economy like India. 1. Ask for what you want — As women, the hurdles we face are many and varied — we are responsible for childcare, for the heavy lifting on domestic chores. We need to be clear about where we want to go, what we want to do, and asking for help. It is ok to be ambitious, to have a personal plan beyond your family. Get your extended family in on the game and ask for their support — you will be surprised at home many people respond positively. 2. Treat setbacks as temporary — the corollary to this is the realization that there are going to be times when other things take precedence in the short or medium term — your childcare or caregiver duties. These are temporary setbacks and you need a plan to navigate that period and come out stronger. Utilize your career break to learn something new. 3. Be fearless in your learning — learn something new every day, in a different field or in a related field. All knowledge is useful, and our ability to learn, to be curious, to ask the right questions is our biggest differentiator. Interventions are needed at three stages — getting more women to take up STEM in schooling, making sure women are nurtured in the data science sector and empowering them to restart their careers after maternity or other care-giving breaks. This requires structural change at the school, family, work and societal level.